Kindergartners gain familiarity with number systems and shapes by counting whole numbers and identifying objects. Keep reading to find out what your child will learn in kindergarten and how you can reinforce these concepts at home. What Topics are Covered in Kindergarten Math? Many kindergarten math lessons use objects, called manipulatives, to help students visualize math concepts. To make counting fun, use objects like toys or pieces of candy. Such manipulatives will increase your child's interest in the subject. Keep in mind that kindergarten math is hands-on and interactive, so mimic that experience at home when practicing math with your child. Number sense is a main component of kindergarten math. Number sense is familiarity with numbers and includes counting and cardinality. By the end of the year, kindergartners can count to 100. They also learn to compare numbers using objects. For instance, kindergartners recognize that three apples are greater than two apples. Kindergarten students are introduced to basic geometry, which includes identifying rectangles, circles, triangles and other shapes. Kids at this age also recognize that 2-dimensional shapes are flat, while 3-dimensional shapes are solid objects. Use real-world situations to practice counting. For example, ask your child to count how many red cars are on the street or how many birds are in a tree. It's important that your child gets repeated practice with counting. 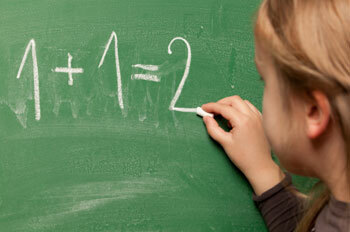 Along with counting, kindergartners learn basic addition. Introduce your son or daughter to this concept by using manipulatives. For instance, if you have two cookies and add two more, there are now four cookies. 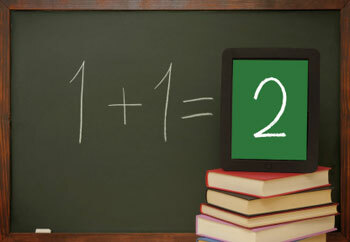 Without realizing it, your child will be learning basic addition facts. Do the same for subtraction. To practice geometry at home, have your child create familiar shapes using construction paper or clay. Along with being an educational activity, this can be a fun art project. Encourage your child to identify shapes in the outside world. As you're driving or walking, make it into a game to see who can spot more shapes. Some examples include identifying balls as spheres and signs as rectangles. Using paper cut-outs of small shapes, have your child create larger shapes and pictures. He or she may put together two small triangles to make one large rectangle. Playing with shapes in this way can help your child become familiar with their characteristics.